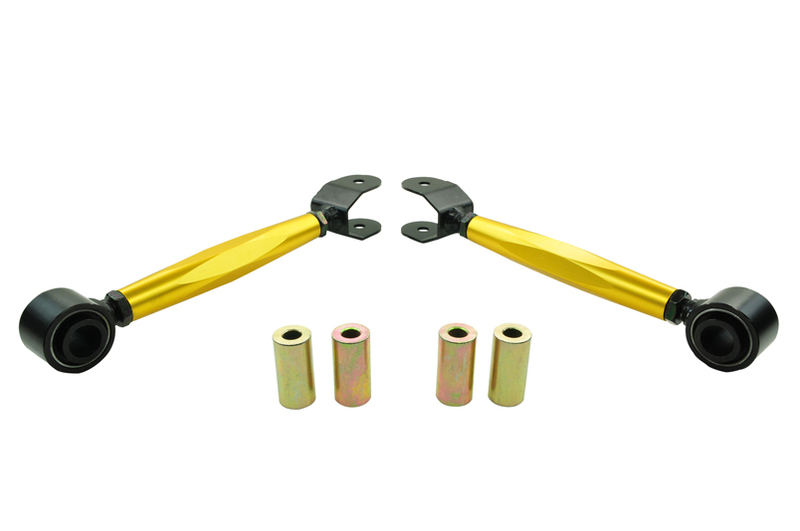 KTA143 is heavy duty adjustable rear lower control arm kit designed to allow for increased range of camber adjustment. 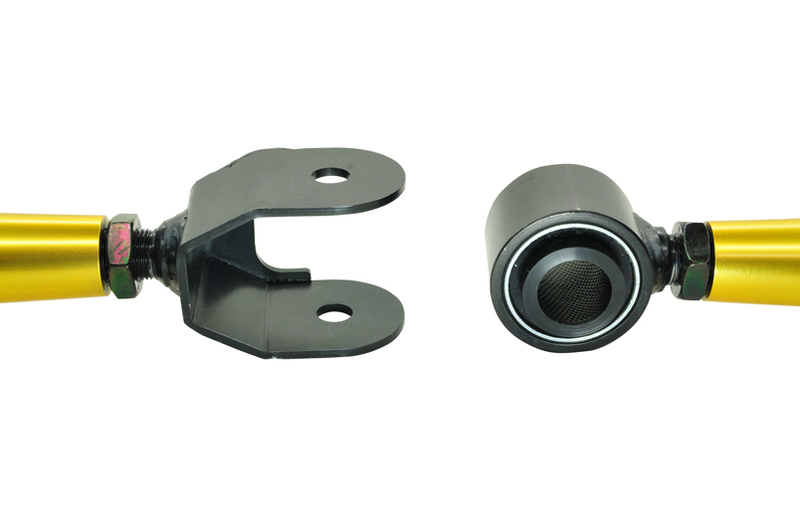 Low compliance bushings are used to minimise NVH and maximise longevity. 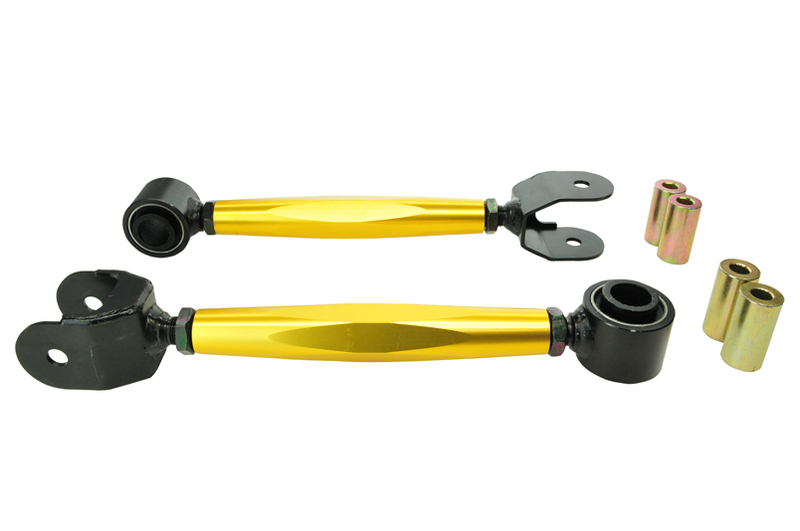 Left-right-hand thread adjustment turn-buckle nut allows for easy on-car adjustment.